If the President's health allows him or the strong men and women in his circle pack his health well he will win the election by any means necessary. In his second term his physicality may be come a huge challenge, at which time he will be willing to handover power to his Yoruba VP, Yemi as he warmly calls him. In spite of their remarkably religious differences he has come to see his knowledge driven VP not only as a political relative but as a respectable son. This he will intentionally do as his body will have no choice in terms of health vulnerability. From the point of psycho-cultural guilt he is ready to pay his untold debt to Abiola in spirit. He will do his best to warn his power oriented men and women including Adams and others not to test his able and devoted political Son in anyway. In the coming months our Prez and the VP will stay at a far distance as Adams and Ali fight the fight, shake up the runner ways, put deep fear in the Saraki-likes. Adams and Ali will accommodate those runways who will return due to insecurity and apprehension. The IGP for his deep dislike for the saraki-likes will serve as an able intimidator to the end. Atiku, will be left for last fight and it will very ugly. His international challenges and unusual questions will be used to hammer him. Jonathan will be warned and he will quickly melt down as they know his soft personality. Obansajo will be laughed at and ridiculed periodically. Some shaky ministers will be removed or switch around. That of the military and police already started. The judiciary will be disrespected. The real deep authority is Adams. This psychological war is going to get rough. The world is indirectly on the side of this presidency as they see Buhari as an economic sanitation worker who has a lot to clean in terms of the last 8 years of filth or disgustingly dirty acts, treasury wise. 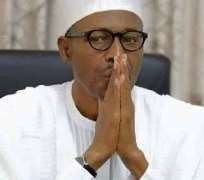 Buhari has one big daily prayer: give me the will and health during this election process and period. My note here is just a predictable hint. There it is.